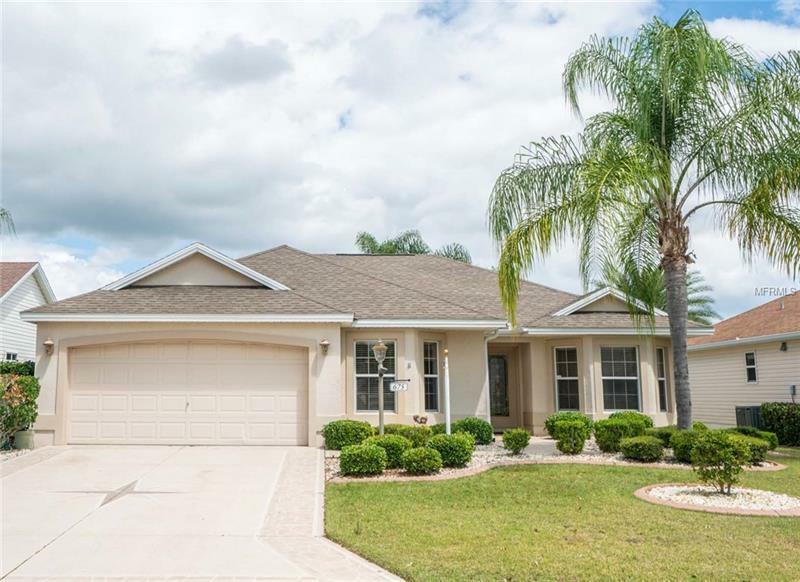 This home is located in the very popular Village Of Mallory just a few minutes from the Mallory Country Club and Lake Sumter Landing. It has new wood plank tile floors fresh paint new stainless steel appliances all new granite counter tops pull outs in all kitchen cabinets enclosed lanai with outside screened patio inside laundry volume ceilings natural gas service connected plus much moreâ¦â¦This split plan home has a master bathroom with walk in shower and duel vanities as well as a huge walk in closet! The second bedroom has a beautiful bay window and can be used as a study or hobby room. The kitchen has a breakfast nook and the home has an open plan design. Bond balance $10900.82. Bond annual payments are included in your property tax bill.